US Air ForceA-10 Warthog over Afghanistan. Flying the A-10 Warthog is “amazing,” a pilot currently serving in Afghanistan told Business Insider. “If you’re employing bombs, bullets, rockets, or missiles obviously that’s rewarding because you know you’re impacting the battlefield to help save Coalition forces,” McGraw said. McGraw also praised the A-10’s signature weapon, the 30mm GAU 8 Gatling gun. 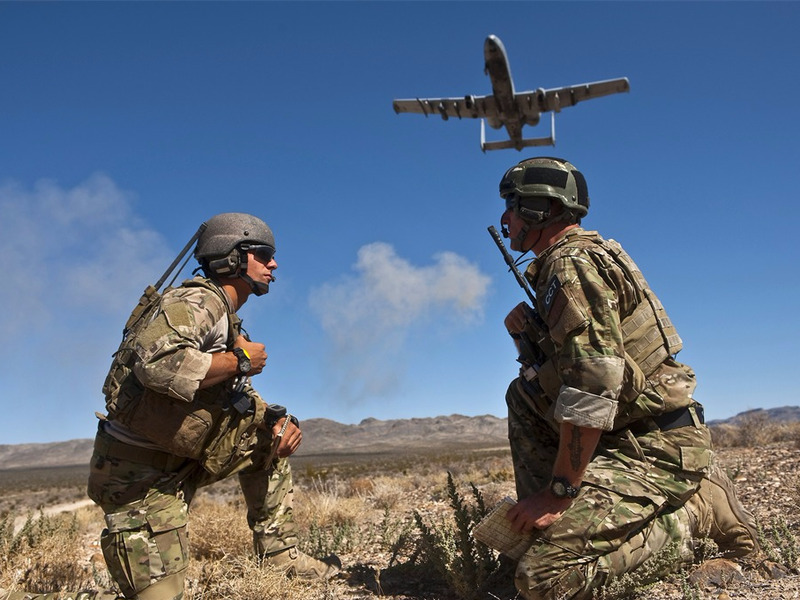 “Oh, man … It’s amazing,” an A-10 Warthog pilot, who preferred to be called “McGraw,” told Business Insider when asked what it’s like to fly the aircraft. It’s “incredibly easy to fly, outstanding performance,” McGraw said on the phone from Afghanistan, adding that it’s very reliable, which he partially credited to the maintenance teams. “Plus it’s just cool to fly A-10s,” McGraw added. DoD photo by Tech. Sgt. Michael R. Holzworth, U.S. Air Force/ReleasedUS Air Force Senior Airman Corban Caliguire and Tech. Sgt. Aaron Switzer, 21st Special Tactics Squadron joint terminal attack controllers (JTAC), call for an A-10 Thunderbolt II aircraft to do a show of force during a close air support training mission Sept. 23, 2011, at the Nevada Test and Training Range, Nev. JTACs performed proficiency training with U.S. Air Force Weapons School students during the close air support phases of the Weapons School six-month, graduate-level instructor course. “To just feel the aeroplane shake and to know that you can employ a gun from an aeroplane diving at the ground [at] 400-plus mph [and at] a 45 degree dive angle, and [that] I can confidently on every single pass put 30mm exactly on target … it’s very rewarding,” McGraw said. McGraw, who has completed five tours in Afghanistan, said he’s flown about 300 combat missions in the wartorn country, deploying his weapons about 25% of the time. “That gun is incredibly accurate, and it obviously delivers fearsome effects and devastating effects … so when I pull that trigger, I know those bullets are going where I want them [to],” he said. 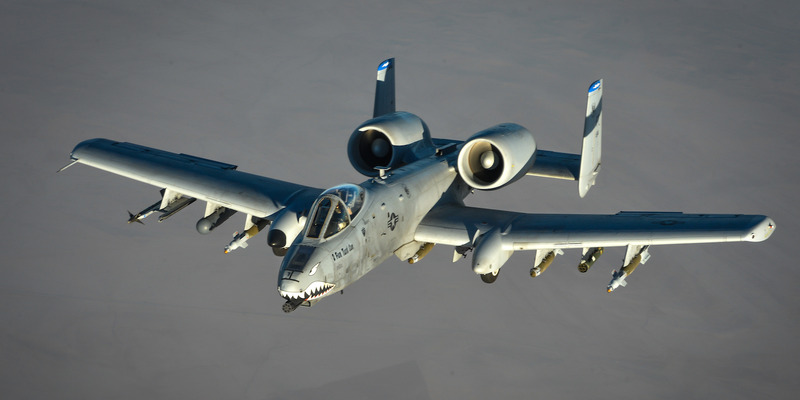 The US sent a squadron of 12 A-10s back to Afghanistan in January, where its quietly ramping up the longest-running war in US history.